The revelation of elements began around 800 years prior, when individuals acquired sparkling materials from the stones by heating. Iron, Copper, Silver and Gold are the transition elements which assumed a critical part in the improvement of human development. 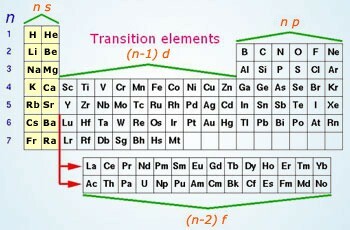 Some inner-transition elements (Th, Pa, and U) are the source of atomic energy. Precious metals such as Silver, Gold and Platinum. Industrially important metals such as Iron, Copper, Vanadium, Titanium, Manganese Palladium etc. Sixth and seventh periods also contain f- block elements. These elements, called Lanthanoids and Actinoids, are called Inner- Transition Elements. Zinc, Cadmium, Mercury are not regarded as transition metals due to completely filled d – orbital. F – Block Elements are likewise called Inner Transition Elements. In these the last electron enters penultimate that is, (n – 2) f orbital. The separating electron in transition elements may enter either 4f or 5f orbitals in view of which they are separated into lanthanides and actinides. The 14 elements quickly taking after lanthanum, that is, Cerium (58) to Lutetium (71) are called Lanthanoids. They have a place with first inner transition series. 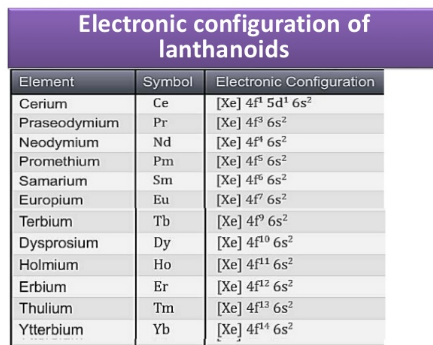 Lanthanum (57) has comparative properties. Therefore, it is examined alongside lanthanoids. 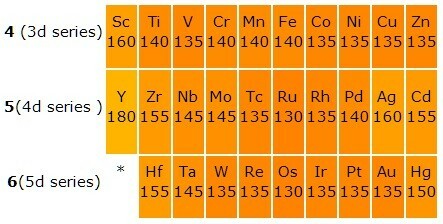 The 14 elements quickly taking after actinium (89), with nuclear numbers 90 (Thorium) to 103 (Lawrencium) are called Actinoids. They have a place with second inner transition series. Actinium (89) has comparable properties. Therefore, it is examined alongside actinoids. 3d – Transition Series. 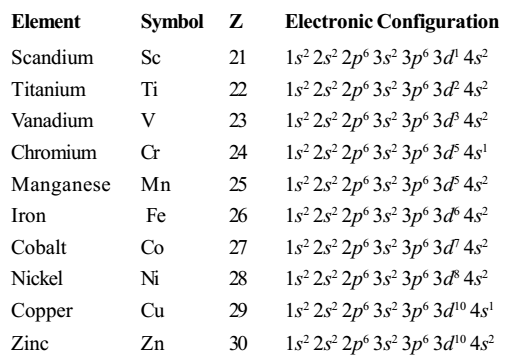 The transition elements with nuclear number 21(Sc) to 30(Zn) and having deficient 3d orbitals is known as the First Transition Series. 4d – Transition Series. It comprises of elements with nuclear number 39(Y) to 48 (Cd) and having fragmented 4d orbitals. It is called Second Transition Series. 5d – Transition Series. It comprises of elements with nuclear number 57(La), 72(Hf) to 80(Hg) having inadequate 5d orbitals. It is called Third Transition Series. 6d – Transition Series. It comprises of elements with nuclear number 89(Ac), 104(Rf) to 112(Uub) having inadequate 6d orbitals. It is called Fourth Transition Series. The general electronic configuration of transition elements is (n-1)d1-10ns1-2. The (n-1) remains for inner shell and the d-orbitals may have one to ten electrons and the s-orbital of the peripheral shell (n) may have maybe a couple electrons. After filling 4s orbital progressively with two electrons at nuclear number 19 and 20, the following approaching electron goes to 3d orbital rather than 4p, as the 3d orbital is of lower energy than the 4p orbital. On account of next nine elements taking after calcium, the approaching electron is filled in the d-subshell. Since half filled and completely filled subshells are steadier than the one in which one electron is short, an electron gets exchanged from 4s to 3d in the event of the elements. Nevertheless, this hypothesis has a couple of extraordinary cases due to a large low energy difference between (n-1) d and ns orbitals. Moreover, half and completely filled courses of action of orbitals are more stable. A result of this figure is mirrored in the electronic configurations of Cr and Cu in the 3d series. Consider the occurrence of Cr, For Example, which has 3d54s1 as opposed to 3d44s2; the energy gap between the two sets (3d and 4s) of orbitals is adequately less to foresee electron entering the 3d orbitals. Likewise in case of Cu, the configuration is 3d104s1 and not 3d94s2. 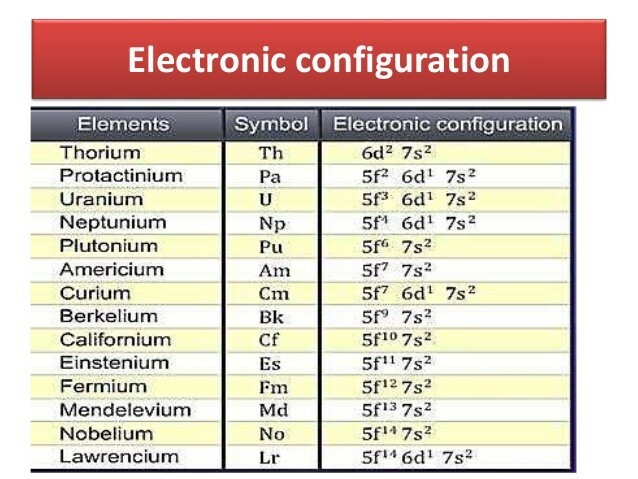 The electronic configuration of first column transition element is showed up in the table underneath.